Happy Monday! I am so glad to be back crafting. If you don’t know, my father recently was sick and passed away two weeks ago. Since I was on the road a lot, I didn’t have much to craft and blog. I am trying to get back into the routine of things at work, home, and with my business. Thank you for bearing with me. For the month of August, Stampin’ Up! 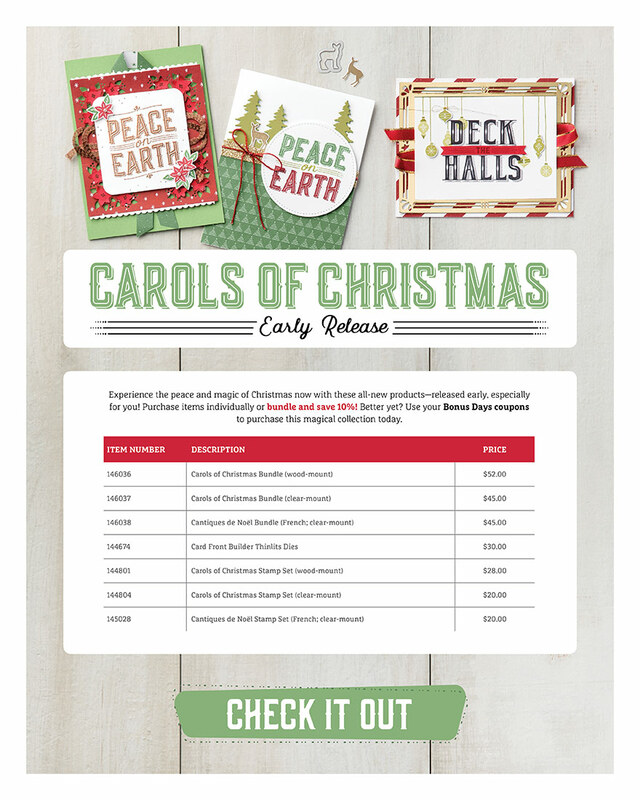 released the Carols of Christmas Bundle from the upcoming 2017 Holiday Catalog early. This bundle comes with the Carols of Christmas stamp set and Card Front Builder Thinlit Dies.